When these homeowners took on renovating their ranch-style home, they tackled the outside as well as the inside. 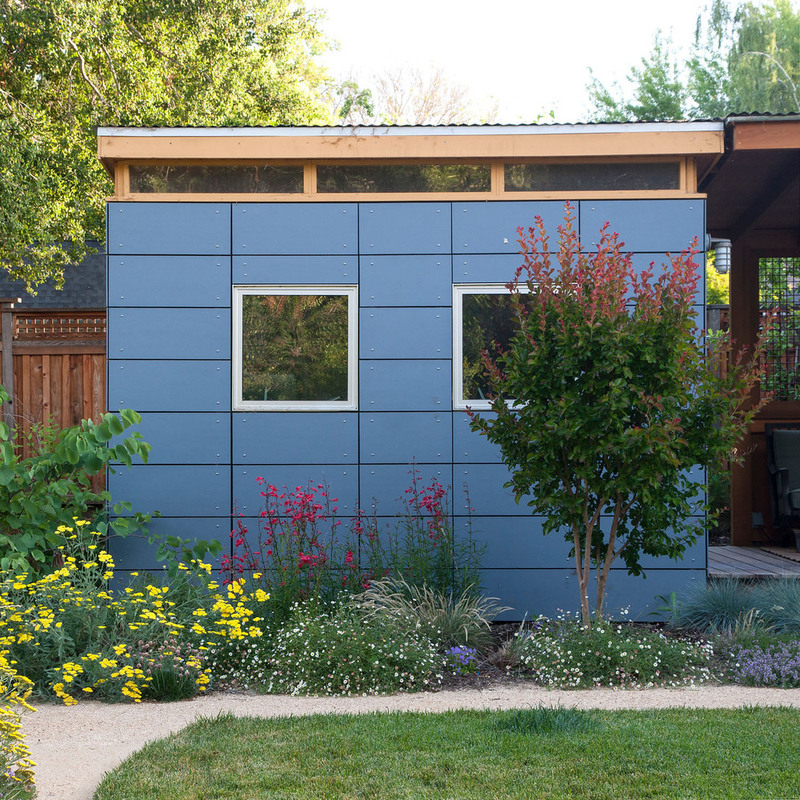 After Bay Area architect Susi Stadler redesigned the home, she and Jeni Webber + Associates collaborated to design a modern landscape with minimalist lines and colorful plantings to accent the updated architecture. In doing so, a series of outdoor spaces were created to provide places for sun and shade, as well as for both quiet and social areas. The lawn was greatly reduced in size, but left just large enough for visiting children to play on. Permeable surfaces and planting beds were added throughout. 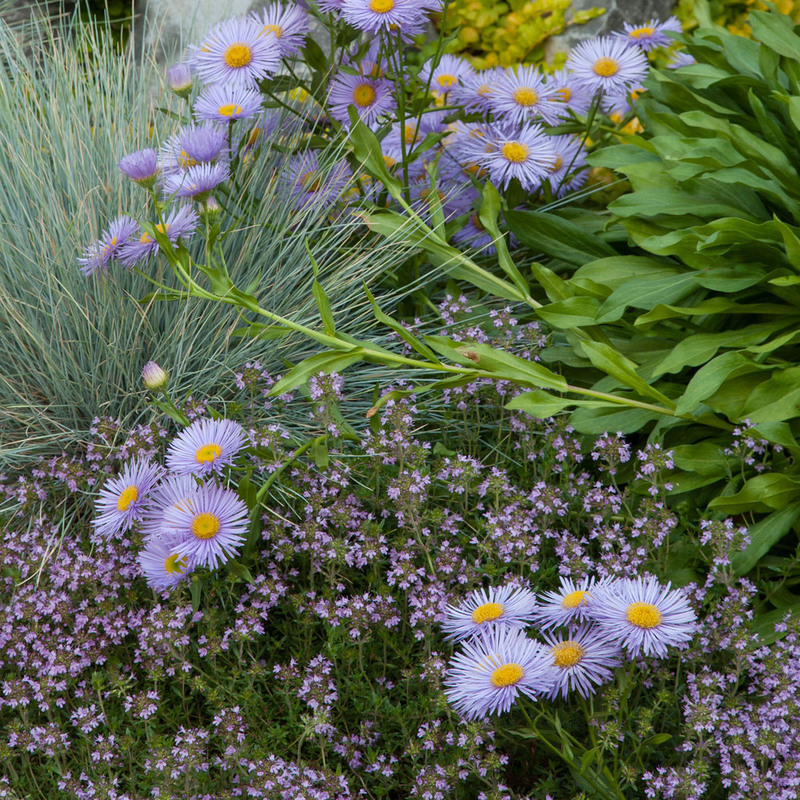 Drought-tolerant plants that add long-season color without needing a lot of attention were chosen. And a few stone walls were added as key accents, as well as a way to increase seating for larger gatherings. For cooler evenings, there is a fire pit and seating in a cleared area near the garden. 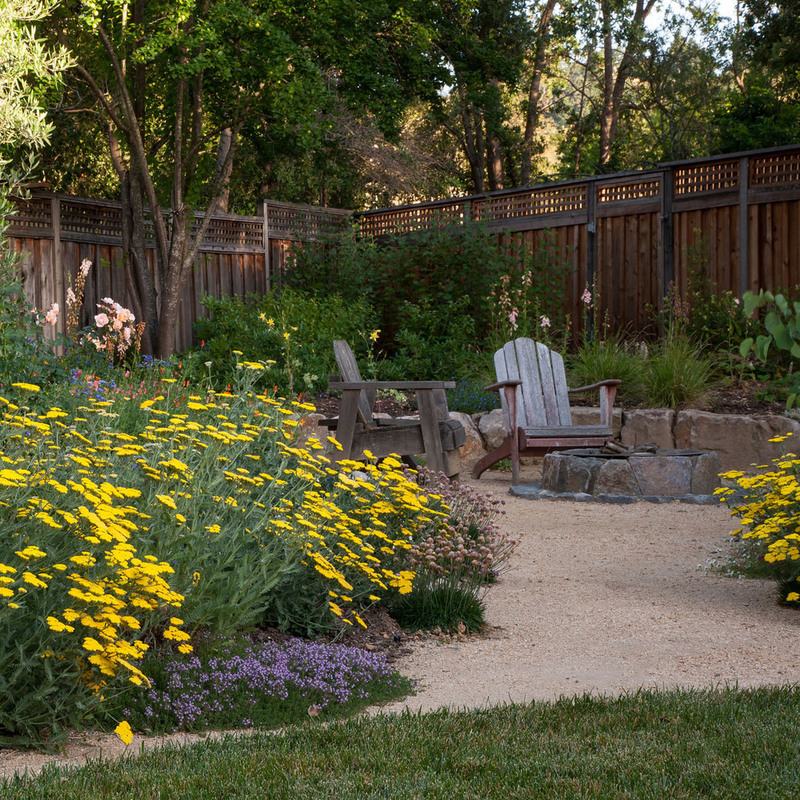 Local materials were used throughout the garden: repurposed and worn San Francisco granite cobbles, brown-toned Napa basalt wall stone and landscape boulders, decomposed granite paving from the hills of Santa Crus, and Napa Valley cast-stone pavers. The local materials, combined with simple lines and forms, contribute to a regional sense of place that simply "feels like home."